In today’s constantly changing business world, we see technology, communication and ideas moving at the speed of light. But how often do we change our work environment? from a singular focus on efficiency toward a pluralistic approach that enriches the emotional, cognitive and physical wellbeing of people. How can we use the workspace environment to create agile, independent-thinking employees who still stay interconnected with leadership and the organization’s culture? Steelcase suggests, via research and reporting, to take a cue from biology; complex systems like coral reefs or rain forests can serve as a template for employee work spaces. Why? Because these natural systems are complex and interconnected yet also include independent parts; they adjust quickly to their environment, and they adapt to survive. 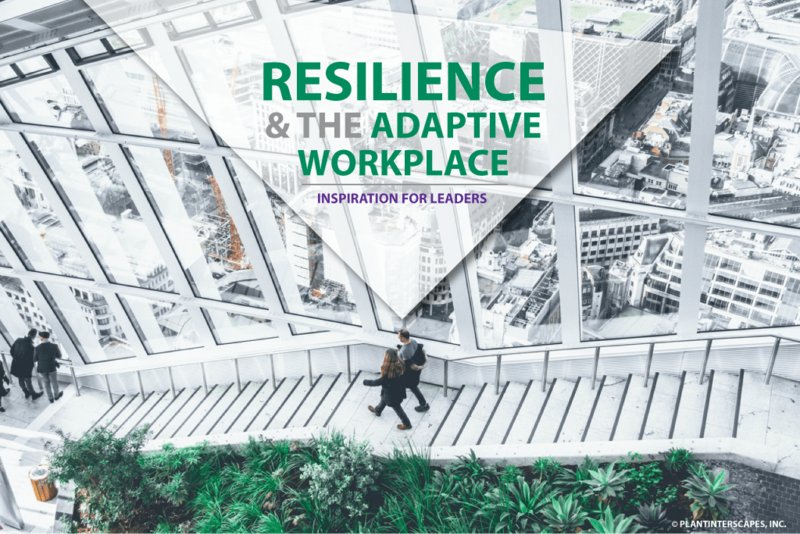 Business survival also depends on the ability to keep staff AND spaces morphing and changing, using continuous (employee/customer) feedback as a guide, and creating a productive workforce that remains resilient. 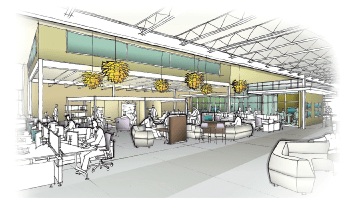 Our workspaces can serve as a major “agent of change” in an organization’s plan to engage and retain agile employees. The space in which we work can either influence new behaviors or it can reinforce the way it has “always been done” (a common syndrome plaguing our work places!). Considering another factor: Julie Barhart-Hoffman, design principal WorkSpace Futures, states “space is the body language of an organization” (p. 26). It serves as a way to communicate and a way to provoke a desired response, both from guests and employees. In less fluid organizations, there could be a disconnect between the words a company uses to brand themselves and the message their physical space might be sending. Non-verbal communication speaks volumes! In closing, take a cue from biology and get designers involved who can help maximize your workspace to allow for consistent messaging, desired feedback to employees, and highlight independent work AND inter-connectedness, much like natural systems we find out in the world.